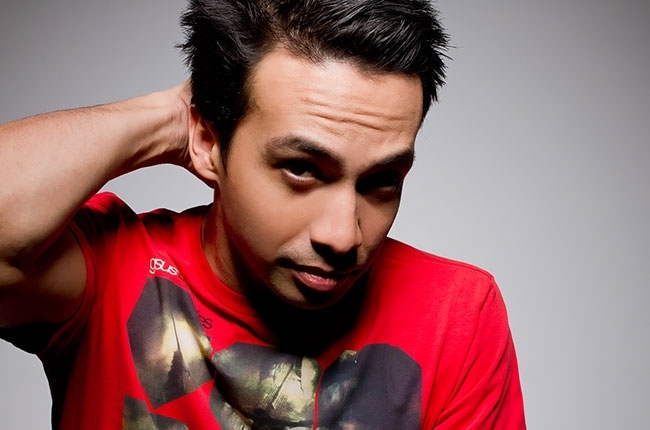 Few electronic music artists behave with the kind of professionalism that Laidback Luke does. The Dutch progressive house superstar DJ/producer has arrived has more than just enviable career highlights to show for his 20+ years in the game – he exhibits an enlightened disposition uncommon to most contemporary entertainers. I haven’t universally praised everything that he’s turned out in the past, but when he has taken the time to respond, Laidback Luke has taken the high road and treated my criticisms as worthwhile discussion topics instead of dismissing them. Check out our full discussion below, and enjoy. Welcome back to Las Vegas, Luke! How’s your stay been so far? Laidback Luke: Great! I arrived here yesterday and had my show at LIGHT last night, which was totally packed and incredible. I actually found out later that Dimitri Vegas & Like Mike were playing too, and Krewella was at OMNIA, and still my night was packed, so I’m thankful for that. Speaking of LIGHT, I understand that you’re also doing your Super You&Me concept show there. Tell me how that’ll be different from the show you played last night. 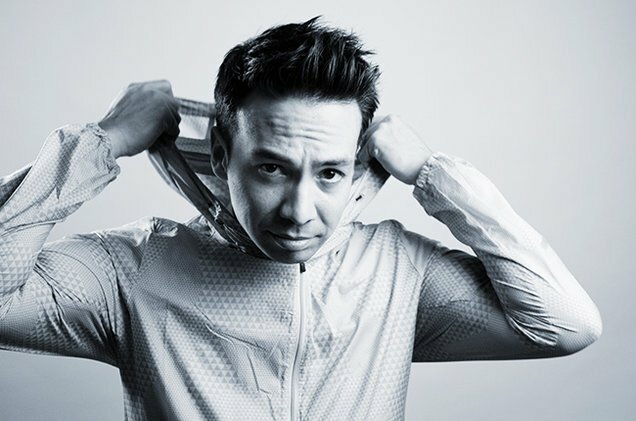 Laidback Luke: It’ll definitely be different. The cool thing about LIGHT is that they host the Cirque du Soleil events as well, so there’s gonna be some special effects that will add up to the superhero experience. I will be coming fully dressed up as a superhero, and all the other DJs will as well – and actually, if you dress up as a superhero you can get in for free! An interesting coincidence is that your career started roughly 20 years ago, and this also happens to be EDC’s 20th anniversary. At what point during EDC’s history did you get involved with Insomniac, and how did it happen? It was that year that it got out of hand and they needed to move to Vegas the year after, but yeah, we’ve got a little bit of history, and the way Pasquale started his parties was from a similar mindset to the way I started DJing. There was no money involved, we weren’t interested in making pop or going crossover or anything – we were just doing our thing because we loved it, and that’s the root of everything. I wanna talk about your Afrojack collaboration, “Move To The Sound.” To be perfectly honest, when I heard that you and Afrojack had a collaboration together it wasn’t high up on my list of songs I wanted to check out, but I actually found it to be a strong concept that was executed well. Tell me how that came together. Laidback Luke: I’m happy to hear you say that, because I’ve been speaking to longtime fans from when Afrojack first broke through, and they loved the sound. It was amazing and incredible, because he started coming out with radio hits, so a lot of fans were like, “Ah man, we’re not interested anymore; we don’t like listening to Pit Bull anyway.” When Afrojack sent over this sketch, I was super stoked because this is a track that goes back to our Dutch roots. It was funny, I spoke to a couple of old fans that didn’t even take the time to listen to that track. I was like, “Dude, you’ve gotta, this is us going back!” and when they heard it the response was just like yours. It’s just an underground track, it’s for the dance floors, and it works. Well, speaking of that, on a personal level I have to commend you on how graciously you conduct yourself in your communications with critics. I’ve written about a couple of your tracks and haven’t said the nicest things, but your responses were incredibly professional. How do you manage to stay above the bickering? Laidback Luke: Well, it’s kind of, you could almost say, like a higher state of being that I’m living right now. When somebody attacks, you don’t need to attack back because that’ll cause more conflict. What you need to show them is that, for instance, an attack could come from ignorance. This might have been the one time that maybe you or someone else wrote about my new track being a mediocre, standard big room track or something. You know, people don’t know that I was actually one of the founders of that sound. Swedish House Mafia’s “Leave The World Behind,” that’s my part of this whole big room sound – so my response was, if Claude VonStroke would cross over right now with his new single, would you ask him to change his style because it’s popular right now? No, Claude wouldn’t change. He would still be doing Claude, so in that sense, I will still be doing me – and I just tried to explain that. It would actually be more odd if I suddenly came out with a techno track because it’s the hot underground thing. I am in this for genuine reasons. I love what I do, and I am very passionate about what I do, and every track that comes out is like a baby – so whenever I see a negative comment, first of all it hurts me, but second of all, I could always see the reason why they would say that, and picture it like, “Oh wait a second, this is their interpretation of the track,” and maybe I could show them my interpretation. That’s it.